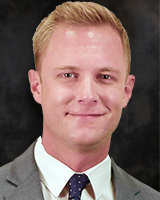 T.J. Parker started at ABC13 in October 2018. T.J. comes to Houston from the Midwest, where he was a reporter at ABC affiliate, WCPO-TV, in Cincinnati for three years. During his time in Cincinnati, T.J. covered many big stories that had a huge impact not only for Cincinnati, but the nation. Prior to Cincinnati, T.J. worked as a reporter at the NBC affiliate in Evansville, Indiana, and CBS affiliate in Knoxville, Tennessee. T.J. went to college at Western Kentucky University in Bowling Green, KY. There, he studied Sociology with a concentration in criminology, along with broadcast news. During his time in college, T.J. was a part of the award-winning campus newscast, NewsChannel12. T.J. also spent a summer interning at the NBC affiliate in Wilmington, NC. T.J. has known since third grade he wanted to be a reporter. Originally from suburban Chicago, this is T.J.'s first time in Texas! He noticed instantly the diverse culture of Houston and is excited to explore everything the area has to offer! In his spare time, T.J. likes to check out unique restaurants, run, kayak, and explore new places in Houston. Have suggestions? Or story ideas? Email him at tommy.j.parker@abc.com. If you see him out, please say, "Hi!" Clean up is underway at Walden Golf Club after a tree came crashing through the clubhouse last weekend during a strong storm that rolled through. Sarah Luke says she thinks her green sweatshirt blended in a little too well with the plants around her because she ended up trapped.